In the earlier article on How to Grow Thick Hair with Castor Oil, I discussed the benefits of castor oil, how to use it on your hair and the best brands of castor oil for hair. While clear castor oil is very effective, there are some people who believe Jamaican black castor oil works better. In this article, I’ll break down Jamaican black castor oil, what makes it different and how the two compares based on my experience and testing. 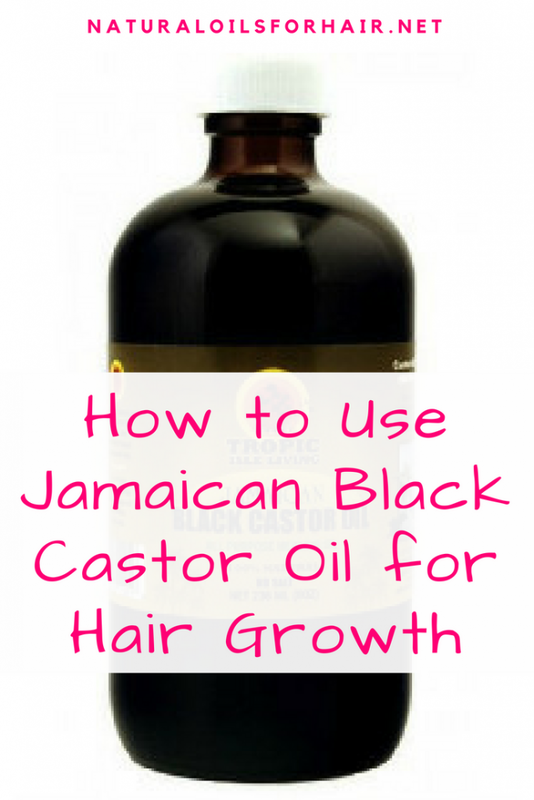 Jamaican black castor oil is a version of castor oil that has been processed a different way. In this case, the castor seeds are roasted then ground. Afterward, the castor beans are boiled and the oil is distilled from the beans. Jamaican black castor oil is a deep dark brown with an accompanying toasty burnt smell, which isn’t unpleasant. It’s a thick and viscous consistency just like the clear version. Jamaican black castor oil has a reputation of being an “all-purpose” oil but this article will focus on the benefits for hair only. 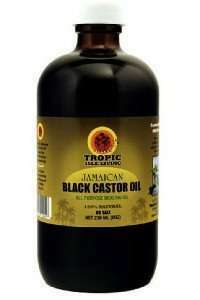 Traditionally, Jamaican black castor oil was used for all kinds of ailments from skin care issues to internal problems. 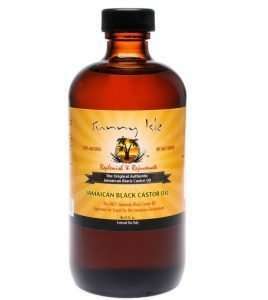 Jamaican black castor oil is enriched with vitamin E & Omega-6 fatty acids. JBCO and castor oil have similar benefits but they may be amplified in JBCO. Read What Are the Differences Between Castor Oil and Jamaican Black Castor Oil? Jamaican black castor oil is raw and natural making it a potent treatment for hair conditioners such as bald spots, thin hair, dandruff, and shedding. Antifungal and anti-inflammatory properties contained in Jamaican black castor oil makes it effective for treating and eliminating scalp conditioners like eczema, dandruff, itchiness, and flakiness. One of the best advantages of Jamaican black castor oil is its ability to help treat hair loss, regrow bald spots and trigger new growth when massaged into the scalp regularly. The vitamin E content in Jamaican black castor oil helps soften hair. When mixed with your styling aid before putting in braid outs, twist outs and finishing off a wash and go. It’s one of the primary oils in my hair styling oil. Jamaican black castor oil can be used in the same way outlined in the earlier article on castor oil where I share 3 DIY castor oil recipes for hair growth, soft hair and frizzy hair. You should experience the same if not better results. For more information on using Jamaican black castor oil for hair growth and pre and post hair loss pictures, read Regrow Bald Spots with Jamaican Black Castor Oil. 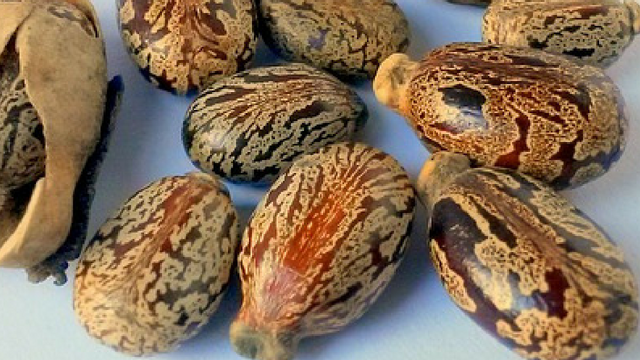 Several users of castor oil and Jamaican black castor oil have stated the JBCO is more potent than the clear castor oil because of the ash content. However, this is a matter of opinion and experience. Some people find JBCO more effective while some people find the clear version more effective. Personally, both worked for me but I preferred JBCO because I like the smell. I recommend trying each separately for a few weeks and then judge for yourself. What works for one person’s hair won’t necessarily work on yours. Where to Buy Jamaican Black Castor Oil? Some suppliers have been known to buy the clear castor oil, darken it artificially or mix in a few drops of the real thing and pass it off as real JBCO. Authentic Jamaican black castor oil always has the toasty burnt smell, which is produced due to roasting the beans. The best and most recommended brand of Jamaican black castor oil is Tropic Isle Living Jamaican Black Castor Oil and Sunny Isle Jamaican Black Castor Oil. Jamaican black castor oil is an all-natural product produced via natural methods and shouldn’t have any major side effects. However, like all products, everyone’s hair and skin react directly to JBCO and there have been reports of skin irritation so it doesn’t help to do a patch test if you’ve never used JBCO before. If you’re interested in learning more about tried and tested hair regrowth methods and all you need to start achieving your hair growth goals, have a look at our range of Healthy Hair Care resources. Subscribers get up to 30% off. Check it out HERE.